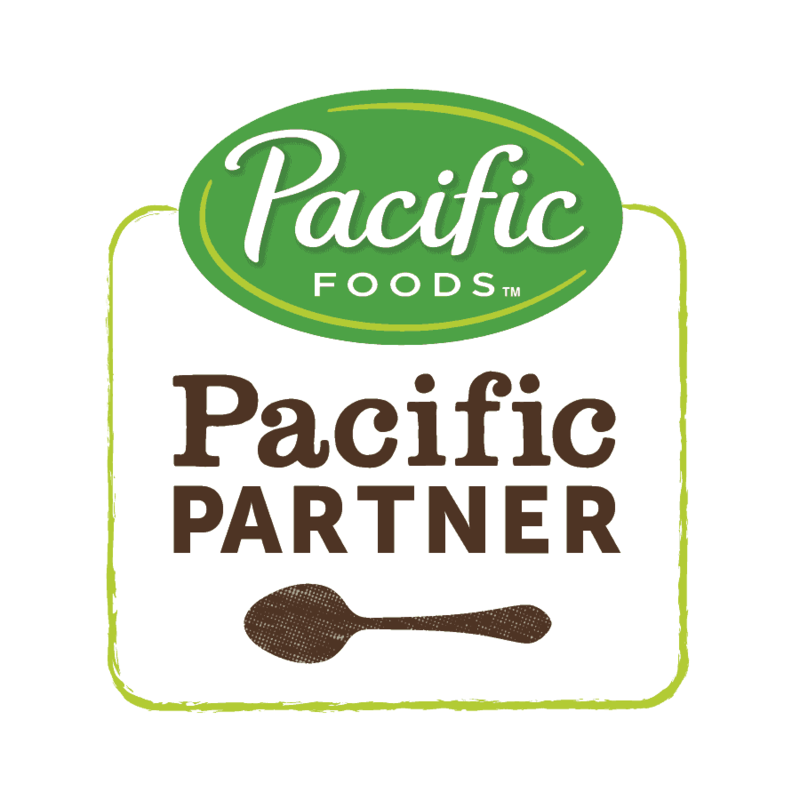 This post is sponsored by Pacific Foods. We LOVE their plant-based beverages, especially their cashew plant-based beverage. Thanks for supporting the brands that support DK. 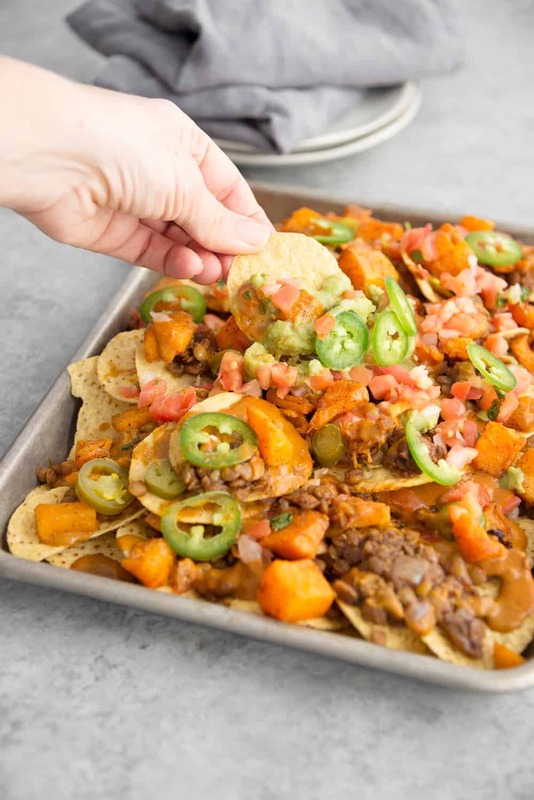 Coming to you today with NACHOS! 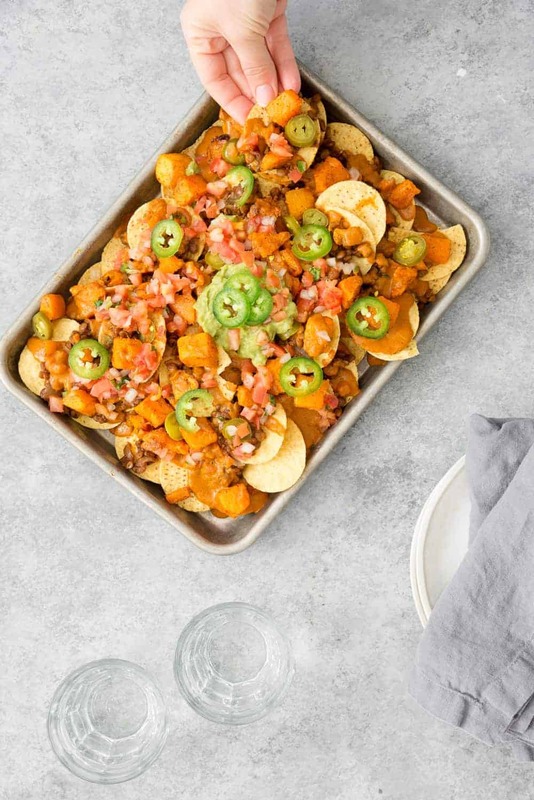 Not your Nacho average nachos, though. 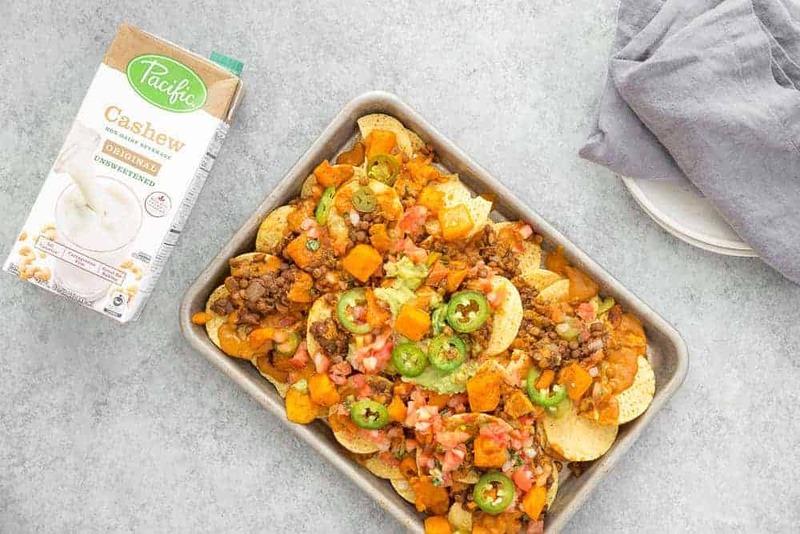 These are loaded vegan nachos and they are perfect for any upcoming gathering with friends that you might be hosting. Like maybe a Superbowl party? Or an Oscar viewing night? Or an it’s snowing so let’s all get together and huddle indoors party? 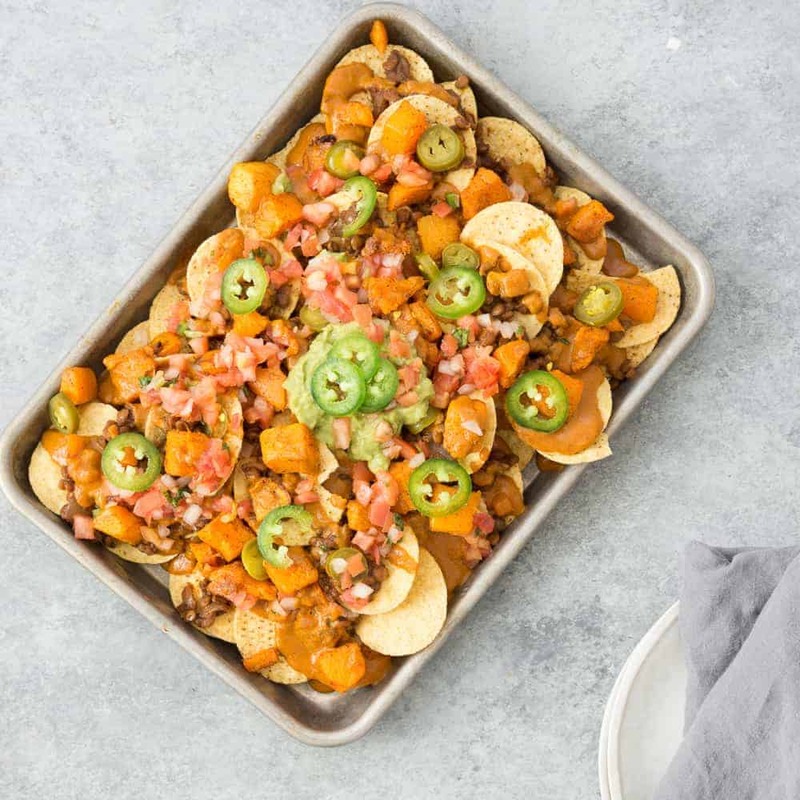 All of these are the perfect backdrop for these loaded nachos. Taco lentils + roasted chili squash + easy cashew cheese sauce + guacamole + your favorite toppings. These are nachos to beat all nachos. Familiar readers might know about my vegan chili cheese dip. 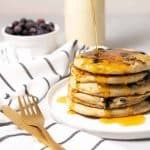 It’s one of my most popular recipes (and even featured on the Dr. Oz show last year!) and gets rave reviews from everyone who tries it. It’s one of my family’s favorite snacks as well, and BL requests it almost every week for football Sunday. And while we love, love, love that recipe, it’s also pretty heavy. It contains 1 1/2 cups of cashews and is as indulgent as it tastes. Therefore, I wanted to create a lighter cheese sauce that had just as much body and flavor. I swapped in Pacific Food’s plant-based cashew beverage for the cashews and wow! The sauce is just as rich as the original, without comprising taste. We also love cashew non-dairy beverage in lattes and iced-drinks. 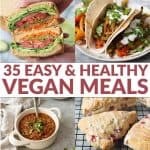 It’s so incredibly creamy with less calories and fat than blending in whole cashews, as many non-dairy recipes call for. While I don’t focus too much on calories and fat in my cooking, I know that many of you do and it’s nice that there is a delicious, cashew-based beverage on the market to swap instead! Please don’t be intimidated by the amount of ingredients here. I know it’s a lot but many of them are spices and all of the components come together really easily. The taco lentils almost cook on their own after sweating a chopped onion and garlic. The cheese sauce blends up in minutes and the squash is mostly hands-off cooking as well. If you want to simplify things, then don’t add the squash. I love the sweet and smoky taste that the squash brings to this recipe, but it’s also OK if you don’t want too much work. And, if you are really craving nachos and don’t want much work at all, then just make the cheese sauce and drizzle over chips, maybe adding in some black beans and guacamole. 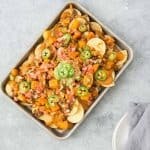 Great spin on nachos! I loved it, and it will be in the snack rotation.